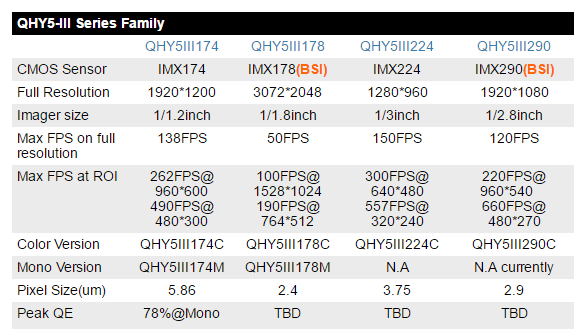 The QHY5-III 178 Mono has the highest resolution in the new QHY5 III series CMOS USB3.0 cameras. 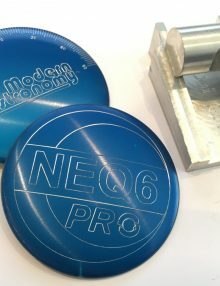 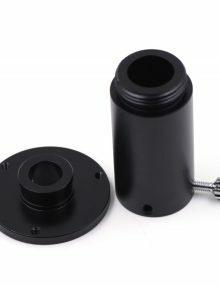 The sensor has 2.4um small pixel size and 1/1.8inch bigger sensor size which can be used to get high precison guiding data and keep a good FOV to get many guide stars. 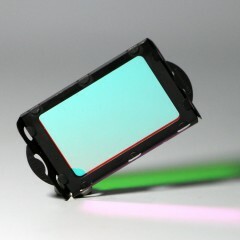 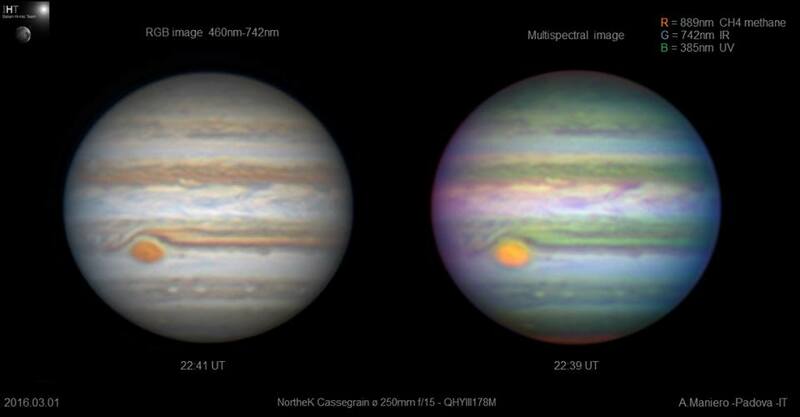 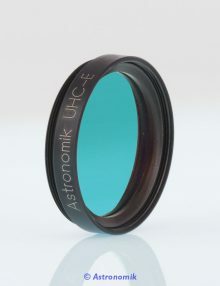 The camera is designed to be an wide FOV autoguider, high resolution planetary camera and entery level deep sky camera. 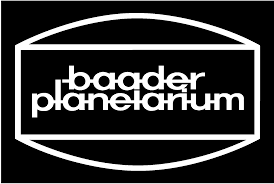 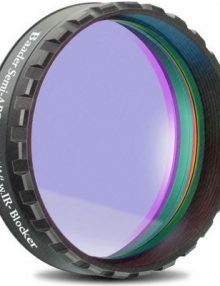 It has both mono version and color version. 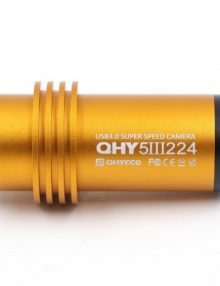 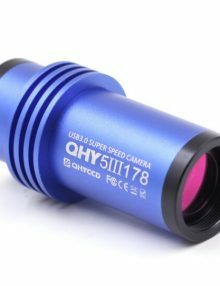 For deep sky imaging, QHY5III178 has the anti-amp glow control function and it can reduce the amplifer glow significantly. 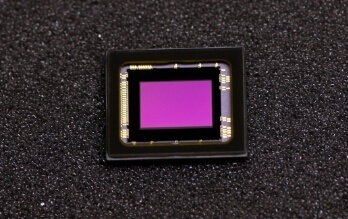 QHY5III178 sensor is the sony’s StarVis BSI image sensor. 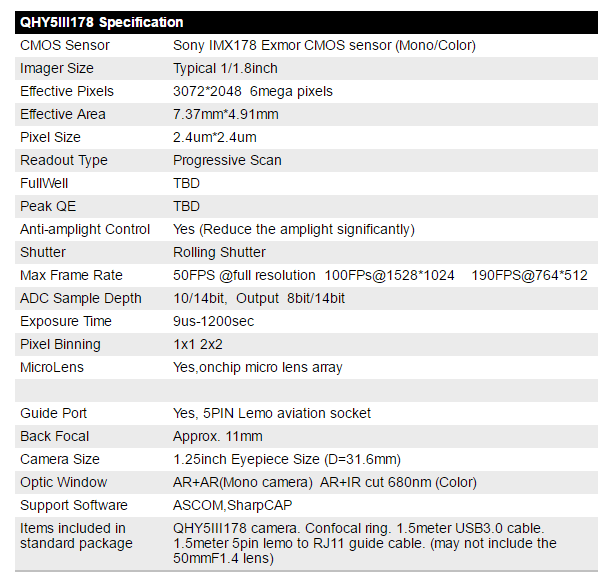 STARVIS is a trademark of Sony Corporation. 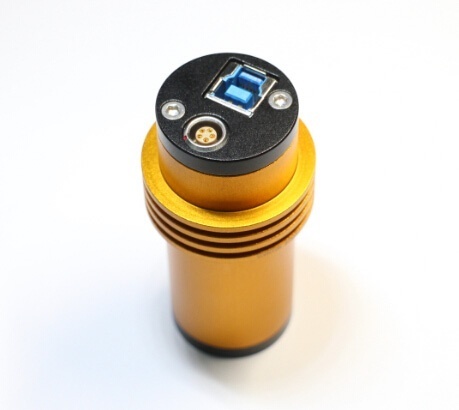 The STARVIS is back-illuminated pixel technology used in CMOS image sensors for high sensitivity applications. 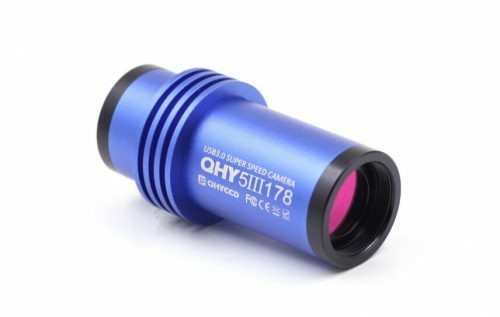 It features a sensitivity of 2000 mV or more per 1 µm^2 (color product, when imaging with a 706 cd/m2 light source, F5.6 in 1 s accumulation equivalent), and realizes high picture quality in the visible-light and near infrared light regions. 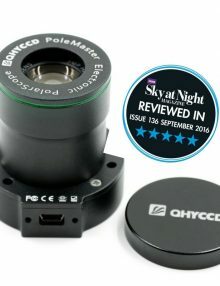 The unique QHYCCD design keeps the 1.25inch eyepiece design. 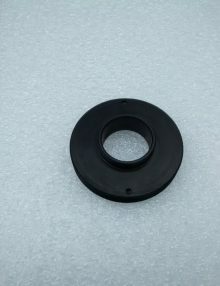 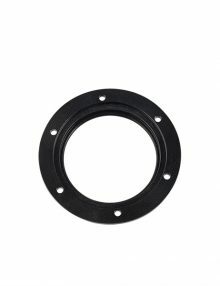 The advantage of this design is a more efficient transfer of heat to the outer case enabling lower noise especially in high ambient temperatures. 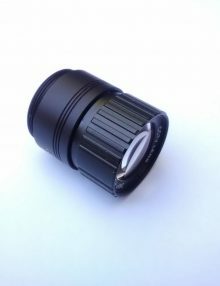 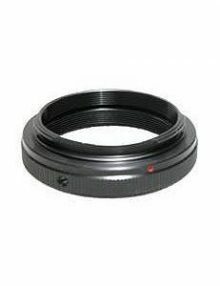 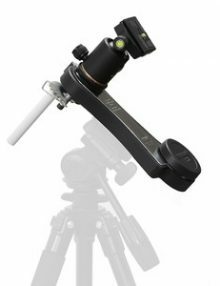 The 1.25 inch design also offers the shortest possible backfocus, making the camera ideal for Off Axis guiding. 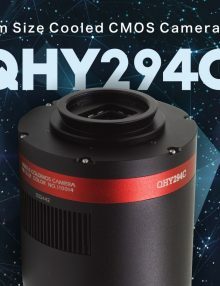 In addition, the QHY5III178 uses the LEMO style connector for the guide port. 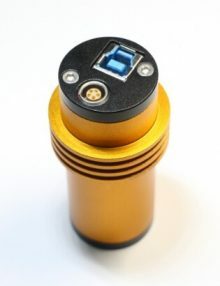 These connectors are known for being both rugged and reliable connectors.